Christian’s believe this is the week that changed, is changing,will change the world, the universe, the cosmos. Jesus comes into Jerusalem riding a donkey and by the end of the week he has been executed. He has been executed even though he has done nothing wrong. He has been executed even though he has done everything right. It’s a strange week to reflect on because it really doesn’t compute with the ways of the world. Or at least that’s the way it seems to me. Just look at those pictures of people like David Cameron or Ed Milliband on the election campaign. How does this week, Holy Week bring good news to the unemployed, the addicted, the poor, the person who seems to have it all together? How does Jesus on the cross bring good news to people struggling with loneliness, despair, depression? How does it all fit in with life in 21st century Ireland? If you’re convinced that Jesus changed the world by laying aside his rights and self sacrificial giving, by acting humbly and non violently how do survive in society? The prayer that Jesus prayed this week that his disciples should be one has been bothering me as well because it seems like Jesus’ prayers aren’t being answered. I don’t feel at one with lots of his disciples. How can I be at one with churches I don’t like? Can I be at one with the Catholic church? Or can I be at one with the branch of the family I’m most familiar with? If evangelicals are seen by the world (unfairly) as a certain way or hold on to beliefs that I don’t agree with how do I be at one with them? If people from Evangelical Alliance seem to be saying that we should stand behind a bakery that doesn’t ice a cake and you don’t feel you should does that mean you’re not an evangelical? There are lots of things that cause me distress in the world and wonder if Christianity is true. But sometimes wondering how Christians are so fragmented is the thing that makes me wonder most. How can we all claim to follow Jesus, to be brothers and sisters and yet act like strangers for most of the time? And of course I’m part of the problem because I don’t necessarily want to associate with certain churches. If they’re fundamentalist protesting football on a Sunday no thanks. If they’re going on about how Christianity is cool I’m not there either. How does this stuff work? I skipped some chapters as they didn’t seem to be that relevant to the world I live in. 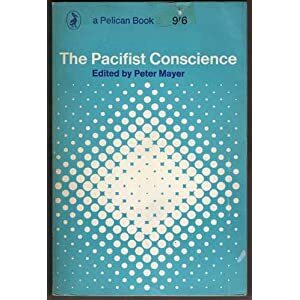 When it was written in the mid 60s we didn’t have mobile phones and Twitter, instant digital communication in our pockets, ATMs, debit cards, Ryanair etc. The population of the earth was 3.3 billion, now there are 4 billion extra people and growing. It is a pretty good reminder of things I’ve been taught over the years, from talks as a student to chats with people I know. Reading it now it doesn’t seem to engage with the world much outside the UK, which is was maybe to be expected. Perhaps before the computer revolution the world was less linked. I don’t know if the right term is globalization, but now we’re maybe more linked to people over the planet and not just those in the UK or Ireland. Sometimes I get overwhelmed by thinking about who is my neighbour and how am I to love them? 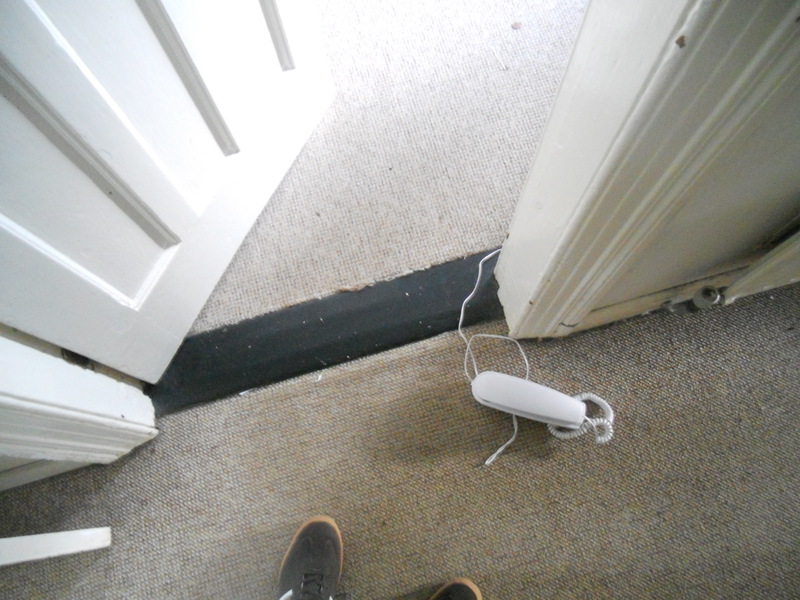 Assuming that everyone is my neighbour on the planet right now I don’t really know how to live wisely. Do we have to make a sort of league table of things we care about a lot and then other things we relegate to near the bottom? 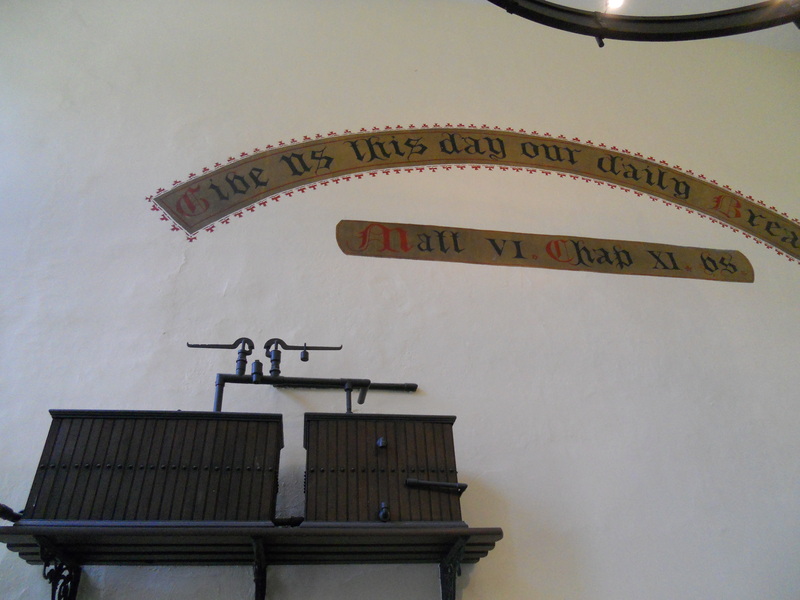 The problem is maybe praying those lines in the Lords Prayer of ‘on earth as in heaven’. The earth is so big! It is tiring trying to work it out. How do I change my actions in a globalized world to make it more like heaven? I am not sure if there is enough for all, or at least enough for all living a typical Western diet with hunks of meat and driving cars. There are 4 billion extra people in those 50 yrs since he wrote this book. Does the planet have enough bounty to allow everyone to live even a modest western style lifestyle? In some cases is there is even a bounty of nature left for people to use? 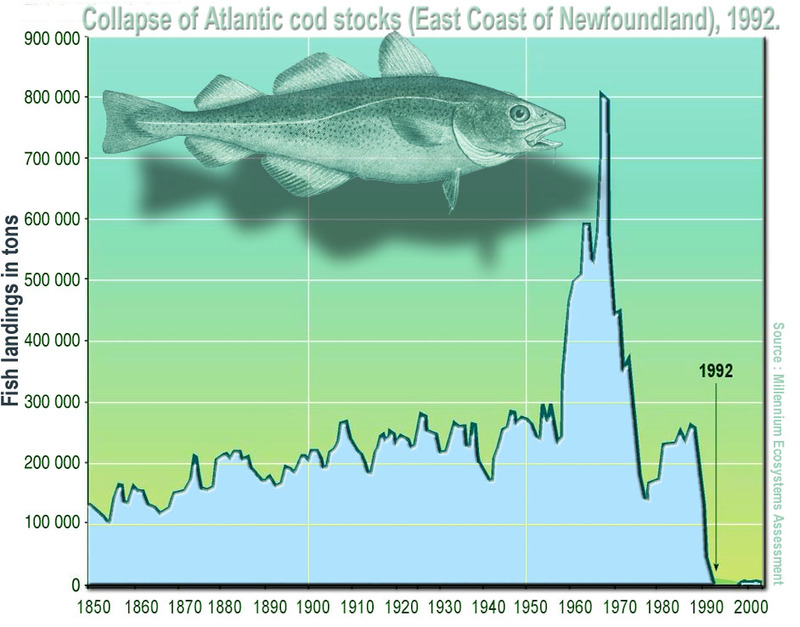 An example of that would be the collapse of the cod fishery in Newfoundland. 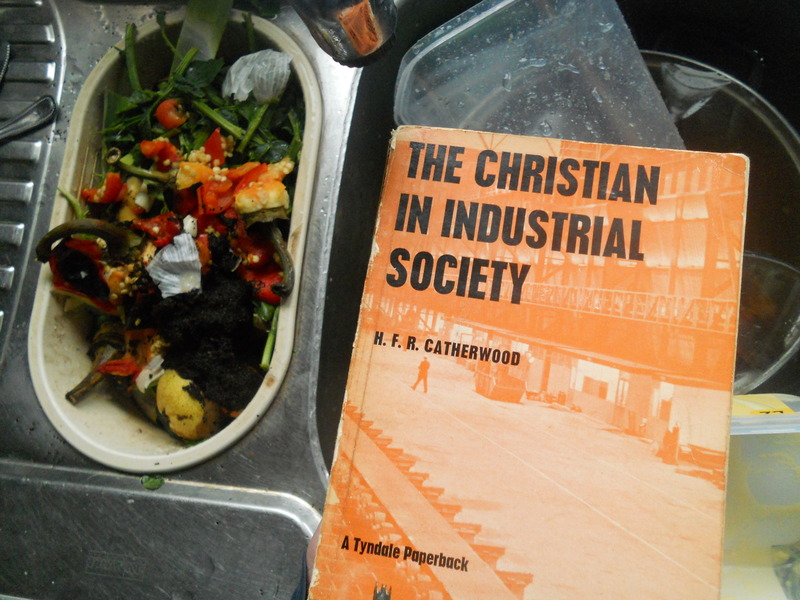 Around the 60s when this book was written vast quantities of fish where being taken on an industrial scale and then the bounty disappeared. I stumbled across the phrase ‘economically inactive’ for the first time, a phrase which pushed all the wrong buttons early on Monday morning and got me worked up. ‘The number of economically inactive people in the UK is measured by the Labour Force Survey (LFS) and consists of people aged 16 and over without a job who have not sought work in the last four weeks and/or are not available to start work in the next two weeks. The main economically inactive groups are students, people looking after family and home, long term sick and disabled, temporarily sick and disabled, retired people and discouraged workers. I guess it winds me up because it is saying that if you don’t have a paid job and aren’t looking for one for whatever reason then you are not working. Or rather you are not working with a capital W, work that brings in a wage and contributes to the economy. So if you are a looking after a sick relative or being a housewife with a few kids you are being inactive from an economic point of view, and that somehow is an undesirable state of affairs. Perhaps I’ve just got a bee in my bonnet (my wife thought so! ), but in my opinion this sort of terminology and thinking adds guilt and shame to people who should have no reason to feel as if they are not contributing to the economy (or THE ECONOMY) or being lazy.